Available now from Cameron Kids, here and here. Have you ever wondered what makes you, YOU? Join Poppy as she discovers how her genes help make her both similar to and different from her parents, her siblings, and all the people who make up her family tree. Through playful illustrations and simple text, young children can discover the fascinating world of genetics. Created with the help of scientists at 23andMe. Available online here, here, and here. In this interactive book a young bear travels with friend Rabbit, as Rabbit experiences changes to his body and the emotional journey that accompanies those changes. The book was created for the patients of the Children’s Blood and Cancer Center at Dell Children’s Medical Center of Central Texas to help them cope with the effects of their chemotherapy and other cancer treatments. 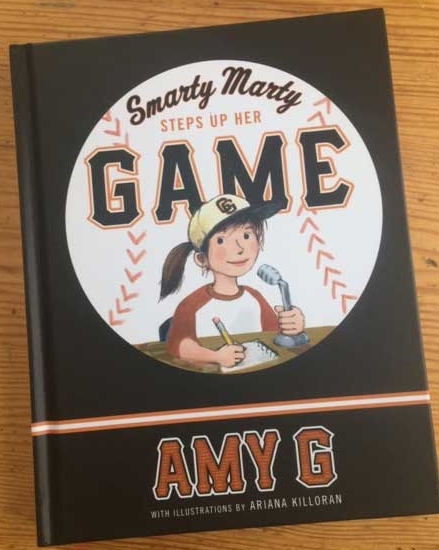 Patients enhance author Amy Novesky’s simple text with their own experiences, and their responses become part of each child's personalized copy. The book was funded by Superhero Kids, which works to address quality of life issues for patients and their families at the CBCC. What do you have in common with a fish? A fly? Your friends? Our DNA connects us all, big and small! I created this board book with 23andMe, Inc. to accompany the Smithsonian Museum's exhibit "Genome: Unlocking Life's Code."